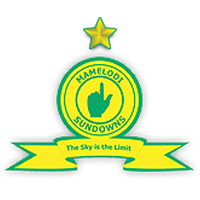 Mamelodi Sundowns is a South African football club that was founded in Mamelodi. They currently play in the Premier Soccer League. Sundowns are the only team to have won the league title a record eight times since the inception of the PSL in 1996. The club is owned by South African billionaire Patrice Motsepe and is regarded as the richest club in PSL having a net worth of about $11 million. The club was founded in 1970 and was affiliated to the Federation Professional Football League in 1973. They are known by the nicknames The Brazilians, Bafana baStyle, Masandawana, Kabo Yellow, Downs, Bafana baShoeshine, and Piano. The club stadiums are Lucas Masterpieces Moripe Stadium and Loftus Versfeld Stadium, Pretoria. They have a capacity of 28,900 and 51,762. Mamelodi Sundowns FC is currently managed by Pitso Mosimane. He took over as head coach on the 2nd of December 2012 and has won the league 2013/2014 and 2015/2016 season. He also guided the team to win the CAF Champions League in 2016. Listed below are the players of Mamelodi Sundowns F.C for the 2018-19 season. The list will be updated on a regular basis. The club physical address is 132 Chloorkop, cnr Allandale & Dunlop Road, Chloorkop Ext 2, Midrand. Their official website is www.sundownsfc.com. The email address of the club is [email protected] Their official twitter handle is @Masandawana.